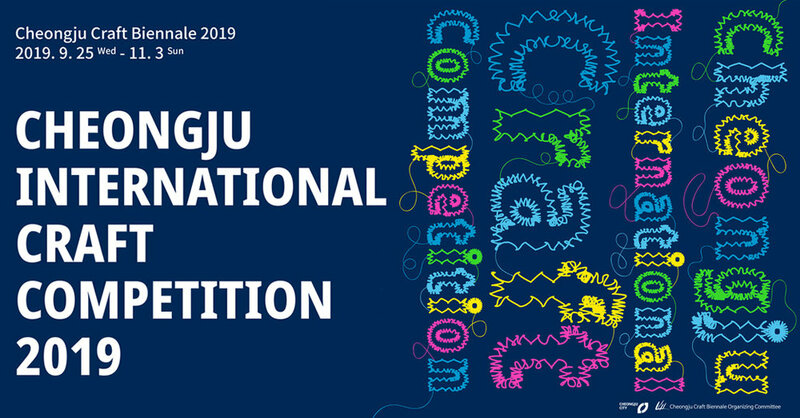 calling craft artists from all corners of the globe, cheongju international craft competition 2019 aims to source, showcase and support outstanding work in the field. the event is part of the internationally inspiring cheongju craft biennale where, as well as receiving a share of the KRW 140,000,000 (approx 125,000 USD) prize money, winners will feature in a special exhibition at the 2021 event. free online submissions are open between may 1-31, 2019, with more information on how to apply available here. cheongju international craft competition 2019 is split into two areas: the craft competition and the craft city lab competition. the former seeks to recognize and highlight craftswork that explores the future of craft through a cross-section of disciplines, genres and materials. artistry will be welcomed in metal, ceramic, wood, lacquer, textile, glass and any other creative or original materials, as long as it was made in 2017, 2018 or 2019 to qualify. as well as exhibiting at the 2021 cheongju craft biennale, the 11 winners will receive an equal share of KRW 10,000,000 and be able to participate in a korean residency program with expenses covered. The second competition, craft city lab competition, aims to discover ideas that could potentially aid the growth of cheongju as the international craft city. it hopes to do so by recognizing and fostering art, culture and crafts projects that focuses on the relationship between the place and artisanal field. the projects or papers must be documented and published prior to the opening on the 2019 cheongju craft biennale to qualify. the five winners will receive a share of KRW 30,000,000 and be able to participate in a korean residency program with expenses covered. With no application fees, entrants may apply between may 1-31, 2019, here. there are no limitations on the theme or genre of the work, and people may enter as individuals or teams with no restrictions on age or nationality. applications will be judged in two stages: first through the evaluation of online submissions, and then by the judging of the actual work. winners for the craft competition will be announced in september 2019 whereas winners of the craft city lab competition will be announced in june. the official awards ceremony will take place on september 25 at the opening of the cheongju craft biennale 2019, which runs until november 3.